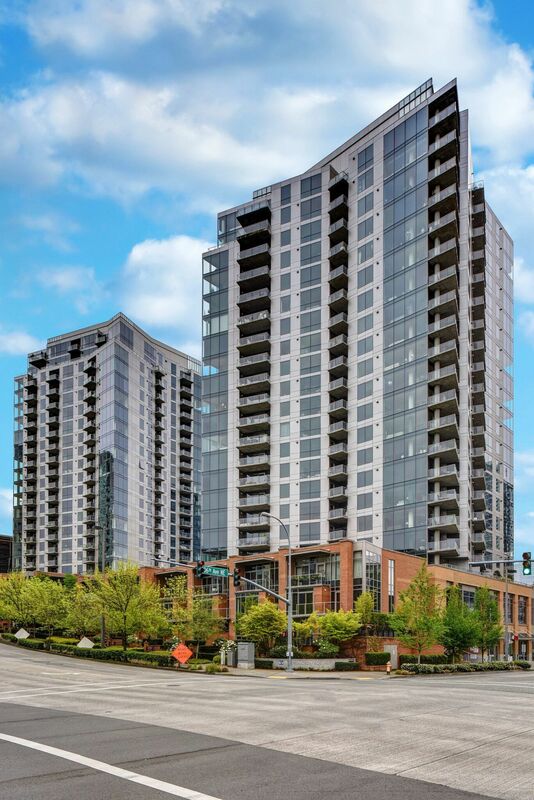 The impressive and luxurious condominium complex of Washington Square in Bellevue, Washington presents remarkable amenities, a convenient location, and an astounding real estate option for homebuyers looking for a lively location in the heart of Bellevue, Washington. Located at 10650 Northeast 9th Street Plaza in Bellevue, Washington, this striking complex is as beautiful as it is convenient. Featuring comfortable units, amazing dining, shopping, recreation, and entertainment, and an incredibly convenient location, the amazing Washington Square complex in Bellevue is truly a one-of-a-kind real estate opportunity for homebuyers interested in Bellevue. Buy a new home in Washington Square and look forward to luxury living in an exciting and inviting community. In addition to being impressive and remarkable, the amenities available at Washington Square set a standard for excellence. Constructed with safety in mind, the gorgeous Washington Square gives residents such amenities as fireplaces, decks overlooking the city and sea, concierge services, and energy-efficient living. Washington Square also gives homebuyers access to the complex’s massage room, spa, and access room, so homebuyers can look forward to having their well-being taken care of close to home. The surrounding Bellevue community offers incredible dining options, like McCormick & Schmick’s Seafood & Steaks or Maggiano’s Little Italy, two incredible local eateries that will satiate any appetite. There are numerous parks in the area, as well as remarkable shopping opportunities. The prospect to indulge in the area amenities are endless. Buy a new home in Washington Square and look forward to taking advantage of luxury living and incredible amenities. While the amenities that Washington Square and Bellevue offers homebuyers are incredible, the units in the complex are remarkable and diverse. Available units present diverse units ranging from 800 square feet to nearly 2,000, with 1,2, and 3 bedroom units available, so homebuyers can select the floor plan that best fits their living space needs. Washington Square offers deluxe features like modern kitchen with outstanding appliances, spacious floorplans, and incredible views, so homebuyers are sure to be enticed by this incredible real estate option. Those interested in taking advantage of the incredible real estate opportunity that Washington Square in Bellevue, Washington presents should not hesitate to contact us today for more information or with any questions they might have about Washington Square homes for sale.